One of Krakow’s top venues is being monitored by building inspectors – for fear that it may be at risk of imminent collapse. The Philharmonic Hall shows signs of wear and tear – caused by damp in the basement and vibrations of traffic passing by continually. 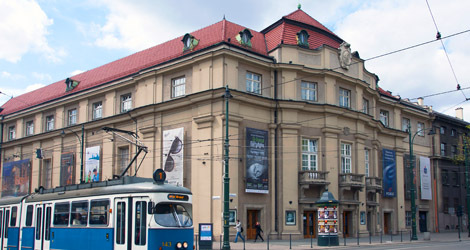 Paweł Przytocki, director of the Philharmonic, told the newspaper Gazeta Krakowska that the hall may have to close. But Małgorzata Boryczko, Małopolska’s building inspector in Krakow, said that no conclusions about the safety of the hall could be drawn until further investigation had taken place. She added that the hall would not be required to close unless such action was warranted by the results of the investigation. Mr Przytocki told Dziennik Polski that he had approached the Małopolska Marshal’s office, seeking around 600,000zł to help pay for evaluation and repair work at the venue. In the meantime, said Mr Przytocki, the Philharmonic may have to divert cash from its artistic budget. And he did not rule out borrowing money. “I choose deficit, not disaster,” he added.